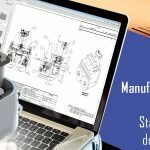 To successfully transform your organization into an efficient manufacturing unit, there are few things you certainly need to know and ask few questions to establish best practices that are specific to your manufacturing setup. Are you able to manage quick and more production without risking for errors, quote inaccuracies and product delivery? Can you utilize product knowledge to reuse existing elements and develop new variants of the same product? Are you able to trace the product development process right from start to end? Do you have the capability to offer your customers with customized products/machines/tools that meet their specific requirements? Can you coordinate completely with all the stakeholders and supply chain vendors located around the world? Can you provide better experience to customers with guided selling? If the answer to above questions is YES, you probably are following industry best practices that lead to efficient manufacturing processes and in turn enhanced productivity and profitability. However, if you felt hesitant in answering few questions or answered NO to some or all of the questions, keep reading further! Maintaining pace with the Industry 4.0 revolution requires adopting right tools and technologies that can work in your favor and help in improving the efficiency of manufacturing processes. 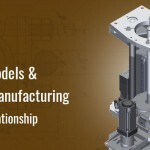 It is important as a manufacturer to realize the need of eliminating 2D design workflows and embrace 3D modeling approach across the entire value chain. 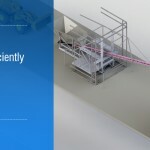 3D models open multiple opportunities to keep design process efficient and communicate the product design clearly to both technical and non-technical staff. Maintaining efficiency is a key for industrial equipment manufacturers to successfully compete in an age of Industry 4.0. And, this is possible through bringing about a change in the product design processes. 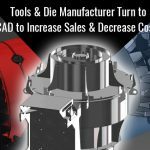 Manufacturers with the aid of 3D CAD platforms can aim for modular product architecture with ease and can also develop a strategy to reuse items and best practices. 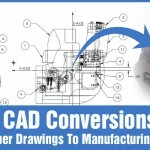 3D CAD models eventually allow everyone involved in the product development process to remain on the same page through efficient collaboration and clear design communication.